Kansas City has been building up an ecosystem for early stage gigabit applications for going on four years. PlanIT Impact, Start Talking, Big Bang, Sportsphotos and SightDeck are just a few of the emergent startups and apps that make up a unique community of builders and doers using Kansas City’s rare fiber infrastructure to create the next-generation tools for the broadband economy. And they were all either created at (PlanIT, Start Talking) or made significant developmental strides at KC Digital Drive’s past gigabit hackathons. 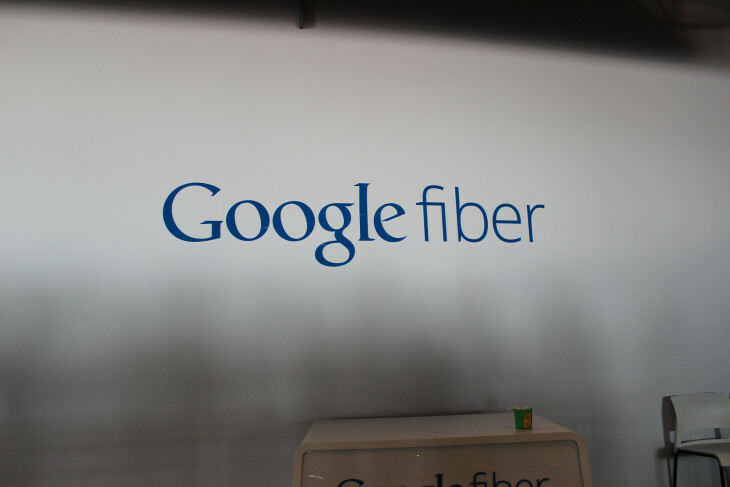 Our next hackathon providing entrepreneurs a gigabit boost is GigHacks, May 1-3 at the Google Fiber Space. This hackathon will take place simultaneously in KC, San Francisco (CA), Burlington (VT), Chattanooga (TN) and Charlotte (NC). Teams can link up cross country as well as tap into a variety of resources from organizers like Orange and US Ignite as well as sponsors Google Fiber, Shinra and TechWeek. GigHacks is not just for coders. It’s also a great place to kickstart your startup. 1. Kansas City supports entrepreneurs like nowhere else. This city is an entrepreneur’s city. We are home to the godfather of entrepreneurship, Ewing Kauffman, and his iconic Kauffman Foundation, which is the bestower of support and sustainability for such fine pursuits. We are also home to the big-bang of startup electricity in the Kansas City Startup Village, which landed as it did thanks to Google Fiber’s unique fiberhood-driven arrival. 2. We have a pipeline of resources. What happens to your idea after the hackathon? As the growing businesses mentioned above demonstrate, our community continues to build and scaffold the funding, programming, support and education that affords a pipeline for pre-commercial concepts to seed and grow. KCSourcelink was an early option that remains an essential building block for entrepreneurs and small business. 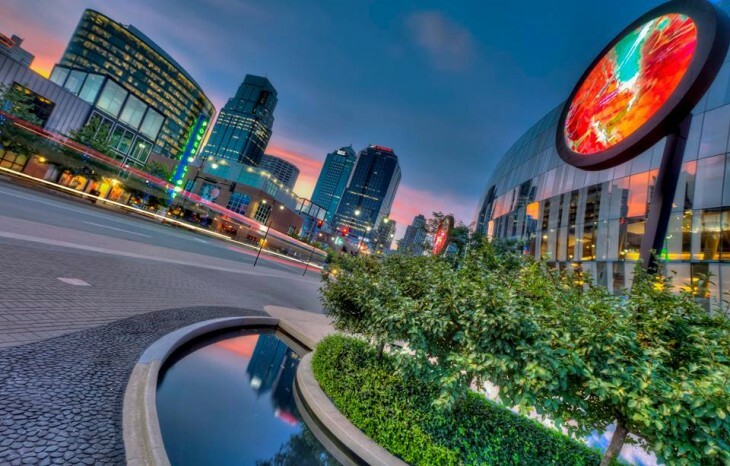 Kansas City’s Economic Development Council has been an avid supporter, including the new LaunchKC Grants program — a national grants competition that will award up to ten $50,000 grants to early stage entrepreneurs and their tech ventures. We also have the two-year-old Digital Sandbox providing proof-of-concept resources to support early-stage commercialization processes. The Sandbox is a direct outcome of the community visioning that built our Playbook. And in 2014, Mozilla brought the Gigabit Community Fund, an experimental project to the gigabit cities of Kansas City and Chattanooga, and invested in 17 early stage pilots using that leveraged gigabit technology to transform education and workforce development. 3. GigHacks will catalyze innovation in areas that matter. KC Digital Drive sees the value in fostering the tech community to keep innovating and exploring new ways to impact education, healthcare, civic engagement and industry. Hackathon events like GigHacks catalyze the collisions between dreamers, doers, technologists, and designers in order to fuel innovation. At GigHacks, we’re interested in demonstrating innovation in education, workforce training, healthcare, and other public benefit areas. We’ll be prototyping using client-side open web technologies (HTML5, WebGL, WebRTC) and a local private cloud. Bring your own idea or concept, or take peek at some of the early forming concepts like a community digital archive built on a cloud-based platform to share/store content from public resources and cultural institutions; apps for video and connected device control of robots over gigabit connections; a virtual mentorship early literacy tool; 3D modeling and printing for education and advanced manufacturing; a Kansas City filmmaking and micro-documentary project (in collaboration with Chattanooga), plus the winning team from OneDayKC and more. 4. Networking, learning and a TechWeek discount. This isn’t just a sit-and-code hackathon. It kicks off Friday night with a free reception, followed by an immersive education workshop designed for teachers, conducted by local ed tech guru Daniel Green. Saturday at noon, we’ll enjoy a cloud-gaming presentation from pioneering, NYC-based gaming company Shinra, which will be conducting a beta test to Google Fiber customers in Kansas City (big news if you’re a fan of gaming). We’ll have hands-on experimentation with Kubi robots, Giroptic cameras, Google Cardboard and Respoke WebRTC. Plus, if you’re eyeing going to TechWeek this September in KC, we’ll be offering an exclusive discount to all comers. Whether you can stay and hack the whole weekend or not, if you’re a tech entrepreneur looking for early stage support and development, we want you there.